IRA Children's Literature and Reading Special Interest Group! 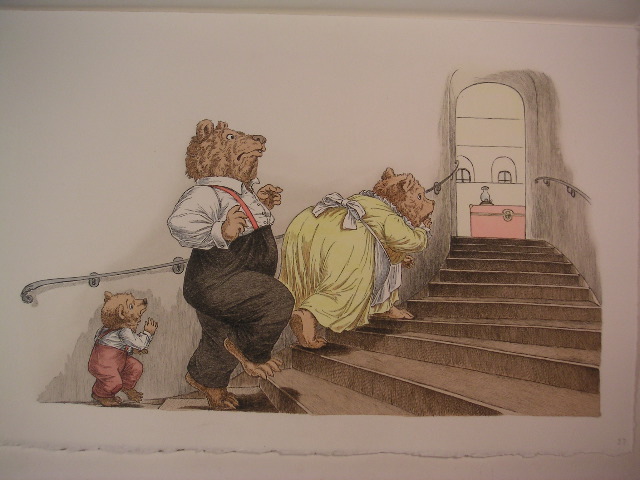 The maginificent original artwork from her book Goldilocks and the Three Bears (see image below), donated by author/illustrator Barbara McClintock, will be auctioned this spring OR used as a prize in an opportunity drawing, with proceeds for the Children's Literature and Reading SIG of the International Reading Association. (decision pending on which action will be taken). If you would like to hang this art in your home, office, or other special place, keep checking this website (http://www.csulb.edu/org/childrens-lit) to learn the details of how to participate and other relevant information!! If you know someone who would be interested, please pass the information along! Thanks for your support. Please explore our website. . .
We invite you to join our organization and contribute your talent, energy, time, and resources to our mission to share the best information available about using children's and young adults' literature to develop literacy. Are you an autonomous organization? How are you related to the International Reading Association (IRA), the parent organization? Must one be a member of the IRA CL/lR SIG in order to subscribe to The Dragon Lode? The IRA CL/R SIG is grateful to California State University, Long Beach, for hosting our website. The IRA CL/R SIG, not CSULB, is responsible for content on this site. ©2002-present IRA Childrens Literature and Reading Special Interest Group (IRA CL/R SIG).